Let me tell you the five things that I love about my church, Faith Lutheran. This helps confirm my reason for staying. No church is perfect but I do love where God has called me to be. 1. The Bible Taught Faithfully. 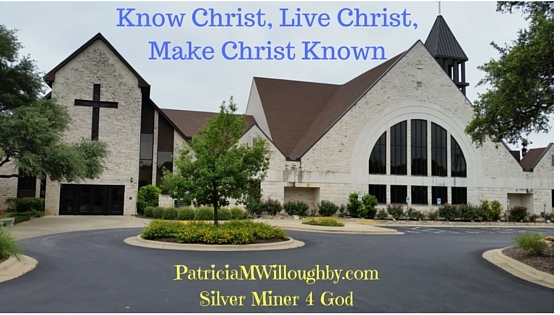 Our motto is Know Christ, Live Christ, and Make Christ Known. Faith comes by hearing the Word of God. During our worship service, we often have an Old Testament, Epistle, and Gospel reading. The Epistle is taken from one of the letters that were written to the church either by the Apostle Paul, James, or Peter. This is done interactively with the congregation reading the words in bold. We stand for the Gospel reading out of respect. The sermon is taken from one of the either of the Bible readings. 2. We are Growing Congregation. We hold a new member’s class once every quarter. My church has as many as 15-20 or as few as 5 members added. In our Bible class for members with special needs, known as the Rock House, we have experienced growth. We added as many as 10 members in this group and a new member is seen on occasion. This makes for a total 25+ members. I do like seeing new members added to our congregation. Furthermore, there are some really swell people to get to know. I love you all! During our worship service, you will hear both traditional hymns and praise music. We also have talented soloists and we recently added a Praise Music Vocalist. Another point that I would like to make is that our Senior Pastor on occasion teaches us a new hymn. I enjoy the blended music and I feel that it reaches out to most everyone. 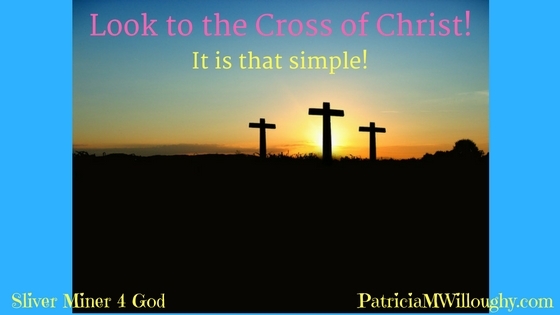 The hymns centered on God or on Christ and Him crucified. 4. Opportunities to Serve are Plenty. At Faith, you will find plenty of opportunities to serve both for the young and for those young at heart. I happen to serve with the Rock House as do a number of very special people. Not only do I serve with them but I also serve with a group of wonderful women in Lutheran Women’s Missionary League’s evening group, Joy Mission Circle. We collect mites which is the change from our pockets to help fund missions outside of our local congregation. We have a ministry for Braille and we are a Stephen Ministry congregation. Let’s not forget our youth. They, too, have opportunities to go on servant trips. 5. Last but not least, Our Newest Staff Member! Most noteworthy is our Vicar. I am excited and pleased that Vicar Bill Crowe will be ordained and installed as our associate pastor on July 24, 2016, @ 3 pm. Every opportunity that I have had to speak to him, he has impressed me as a man after God’s own heart. He is open and friendly. He is quite knowledgeable and loves the Lord. Hence, I know that God has blessed us with him and his family as well. In conclusion, I would like to invite you to come for a visit when you are ever in Georgetown, Texas. To God be the glory! Awesome, this is how everyone should feel and experience church. Thank you for sharing your safe haven! Thank you, Kelsey. I am blessed and thankful.